Football fever starts soon, just a couple days left. 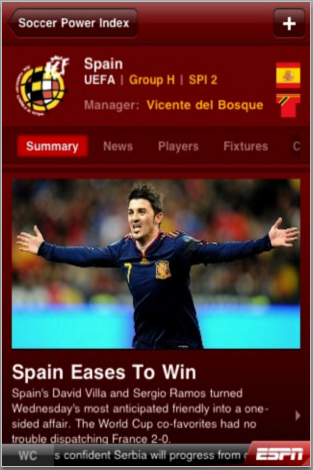 Its FIFA 2010 world cup in South Africa (check FIFA 2010 schedule), and 32 teams are going to fight for the cup, and there is nothing better than google that would provide you each and every detail about every game and every group, on its homepage itself. But you can’t keep up with it through your mobile phone. And after all, its the world cup one would never want to miss. 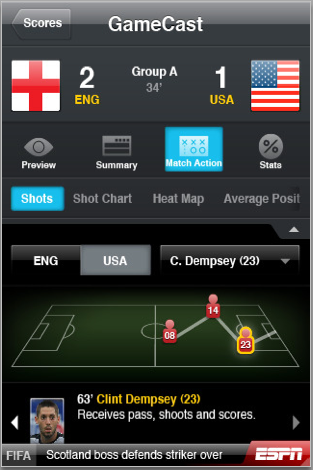 Symbian has been unsuccessful in providing any real good app yet for the score updating and live status of the matches. 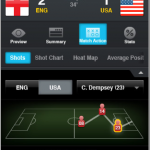 There are several other apps around, but ESPN has made the best application for the world cup updates. 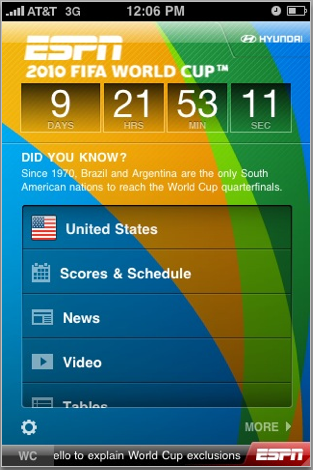 The ESPN app has a countdown, some highlight videos and other sundry information at the moment. But once we get into the action, the app will go to work keeping tabs on games results, scores and up-to-the-minute stats. There are stereo national anthems for all the 32 world cup teams. You can personalize by selecting your own favorite team and show your support. You can view the rankings of all the 100 top FIFA teams, after every match. The basic app is free, but you can choose to upgrade to get live audio, in-game highlights, commentary and alerts for all 64 matches. 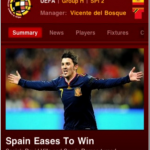 This is a blackberry application that would help you keep updated with the live scores of every match being played in the FIFA 2010, and it displays all the team stats and also the recap of the day’s matches and scores. Its a free and pretty easy to use application for all the blackberry mobiles. You can download that from here. 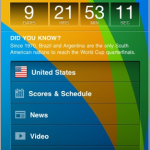 Download the apps and enjoy the FIFA world cup.